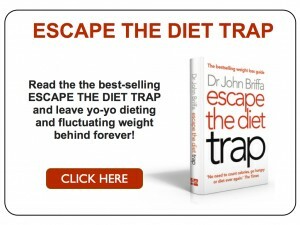 By Dr John Briffa on 31 August 2012 in Healthy Eating, Specific conditions, Unhealthy Eating! A lot of conventional medicine is about symptom suppression. For example, with someone with ‘cramping’ in the gut we may give a drug to reduce the cramping. A better (I think) though more alternative approach would be to attempt to find out what’s causing the cramping and sort that out. As an aside, cramping in the gut and ‘irritable bowel syndrome’ is very often caused by food sensitivity in my experience, and wheat and perhaps other grains are common culprits. Another example of how conventional approaches can be a bit wide of the mark concerns pain. Our first line approach here in medicine is to advise painkillers. Again, another approach would be to attempt to identify the cause of the pain and manage that. I was interested to read a study published last month which sought to analyse the potential relationship between certain dietary elements and the conditions irritable bowel syndrome (IBS) and fibromyalgia (characterised by pain and tenderness in the muscles) . In this study, 37 people with both fibromyalgia and IBS excluded what are known as ‘exitotoxins’ – dietary elements which have the capacity to stimulate and even kill nerve cells. The two best-known exctotoxins in the diet are glutamate (derived usually from monosodium glutamate) and aspartic acid (a component of the artificial sweetener asparatame). The exclusion diet last for four weeks. During the diet, 31 study participants (84 per cent) reported that their symptoms had improved by more than 30 per cent. This could be the placebo response at play. So, then the researchers tested those who improved by exposing them to MSG or a placebo on separate occasions for three days at a time. The MSG, compared to placebo, resulted in a return of their symptoms which was statistically significant. In particular, worsening of the total symptoms score, fibromyalgia severity and quality of life in regards to IBS symptoms were seen. Individuals with symptoms of ‘no known origin’ might want to consider cleaning up their diets to see if this helps. Taking out processed foods (a source of MSG) and artificial sweeteners would be a good place to start, I reckon. Statins for everyone over 50? Really?! Interesting study, especially concerning aspartame. I’ve recently been diagnosed with IBS after a lifetime of wondering what was causing my gut disturbances. I avoid MSG anyway, but aspartame is more difficult. Like many people with osteoporosis, I’ve been prescribed CalciChew D3 Forte – which has aspartame among its ingredients. I’ve been concerned about the makeup of this stuff for ages, as it also has isomalt, sucrose, sorbitol and hydrogenated soya bean oil in it. If I’m not mistaken, this means I’m eating four kinds of sweetener and hydrogenated vegetable oil every day. That can’t be healthy! Feona, an alternative approach might be VitD3 5000iu daily along with magnesium oxide 400mg ( gives about 170mg of magnesium). The magnesium is required for good bone structure and most of us DO get enough calcium in an ‘ordinary’ diet and in an appropriate form. 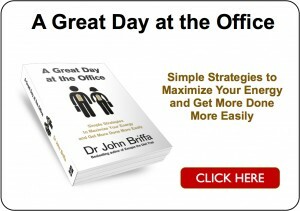 Search Briffa archives and mercola.com similarly for other ideas. The downside here is that it wont be supported by the NHS!! I wonder why? I am struggling with midlife anxiety and IBS. Unfortunately, as soon as I have symptoms of IBS, my anxiety skyrockets. It’s been suggested to me that the vegas nerve becomes overstimulated during attacks of IBS, causing the “butterflies” and anxiety. I have had actual panic attacks occur in waves over a period of days during severe bouts of IBS. I am slowly getting this under control through dietary control and consumption of probiotics for the gut. I have cut out grains, beans, and most processed food and have seen great improvements overall. My bowels seem to be especially helped since I’ve been regularly consuming Kombucha and raw ferments. Feona, I completely agree with Peter’s advise, but I would add Vitamin K2 to your daily supplements – there is a beautiful synergy, with each element assisting the uptake of each other in the bone matrix! Snowmoonelk, may I please suggest that you make your own sauerkraut (it’s easy and delicious) as it is far more effective than the pasteurised store bought version. Ann, I find your message fascinating. I have just beem “diagnosed” with Acid Reflux. This gives me a terrible feeling of choking and a persistent lump in my throat. It is horrible to say the least. I also started having feelings of anxiety and wake up EVERY morning with that fight or flight feeling. I have also had panic attacks. I was wondering about the vagus nerve and these feelings. I have got a big old tin of sauerkraut in my cupboard, perhaps I should crack that open for supper tonight! I take calcichewD3 and alfacalcidol daily as my parathyroid glands were damaged during thyroidectomy and the calcichew plays havoc with my stomach. Was wondering if anyone had any ideas of ways to replace this with diet instead. I eat almonds and figs as I’m not a huge fan of milk, although I do drinks some. Anything to avoid acid reflux would be brilliant. Thanks Frederica – I’ve tried K2 in tablet form, but it made me feel nauseous. Dr. Briffa, do you know anything more about this? I could only find a handful of case reports in fibromyalgia patients. Would be nice to know if there is more reliable research and info on this. Many, many years ago, I read about neurological celiac in a newsletter put out by the National CFIDS Foundation. At that time, only a few top physicians in this country even knew about this condition that accompanies many autoimune diseases. That could be true even to this day as new and scientifically proven information takes so long to be incorporated into any medical school curriculum. Bear in mind that this is just a single, small study. If glutamate is a problem then there are a whole load of foods such as cheese, tomatoes and others which contain large amounts of free glutamate. You also wouldn’t be able to eat any meats. To be honest I think it is unlikely that MSG or aspartame is an issue. As for IBS, stress is a major factor, so that is the first thing you should look into. Generally it is the brain that is causing the IBS symptoms rather than the other way around IMO. can anyone supply links, resources or info on which foods contain glutamate? Leave a Reply to Feona Click here to cancel reply.